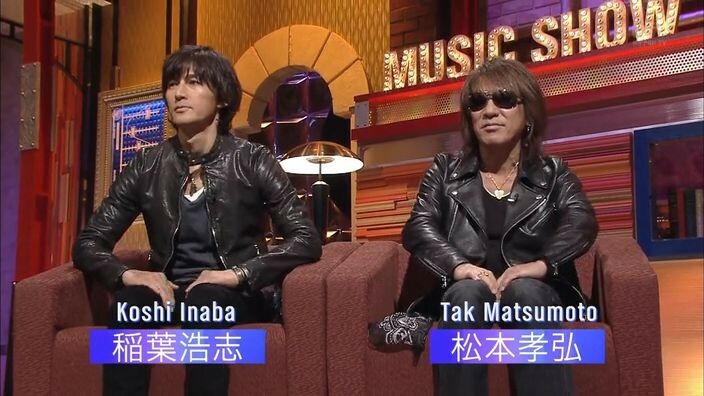 Just this past Sunday, B’z made their first appearance on music talk show LIVE MONSTER. This marked their first occasion doing a proper sitdown interview of the sort, on which the band fielded questions from fans collected in a street survey and via e-mail. The episode is already being considered one of their best TV appearances in their history, during which they also perform new single “Uchouten” and recent hit single “Ichibu to Zenbu“, so don’t miss it! That was awesome! You are seriously doing all the English B’z fans out there a huge service. Should post this more widely on other large fan pages (if they exist.) Thank you!!!!! Thank you SO much for this!! I was so desperate for B’z stuff and being new to this site, I’m excited about this gold mine. Thanks!